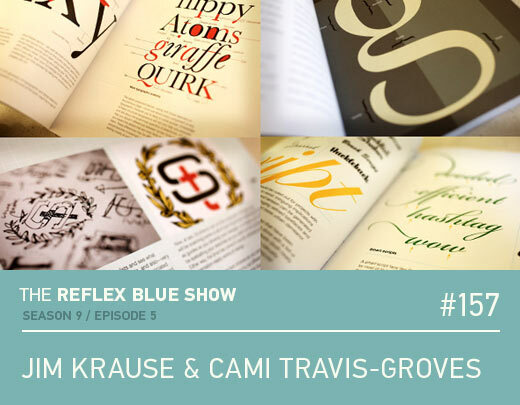 Jim Krause and Cami Travis-Groves join me for the first (of six) full episodes of The Reflex Blue Show I recorded at HOW Design Live in Atlanta, Georgia. We talk about roasting coffee beans in your backyard, taking your own pictures, keeping creative, finding your strengths, and more. Enjoy. Above are interior spreads from Jim’s latest book (which we also briefly talk about), Lessons in Typography. It’s not really HOW Design Live without a few social settings.And sometimes that means recording a recap from the hotel bar just before the closing evening events are about to start up. Cami Travis-Groves, Nikki McDonald, and Kray Mitchell join me on this episode. 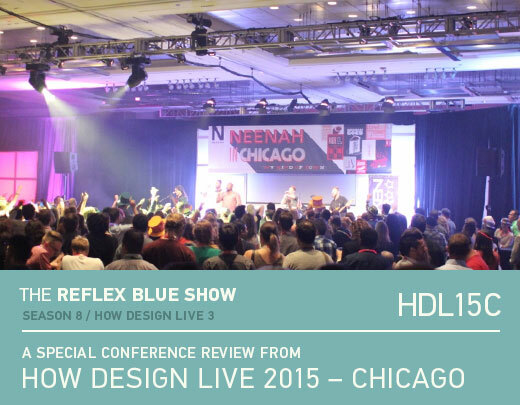 We’ll be back next week with our first (of six) podcast interview from Chicago. Enjoy. 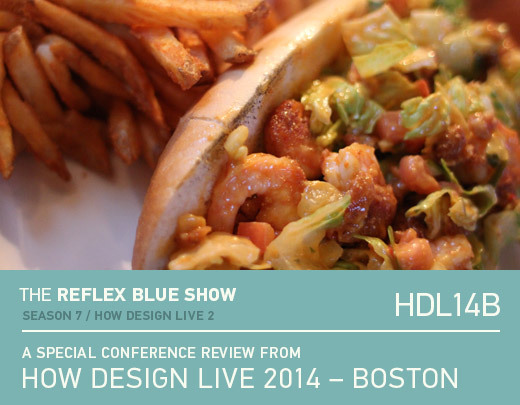 HOW Design Live in Boston may be over, but we’re only half way through our recaps here at 36 Point. Once again, big thanks to Neenah Paper for letting me record from their booth again. Recorded on May 14, 2014, we speak with guests Aaron Draplin, Tony Montgomery, Jamie Saunders, Cami Travis-Groves, and Leigh McKolay. We’ll be back tomorrow with our final recap. Enjoy.